Like all data centers, Stockholm’s Interxion data center gets very hot – and the company is using seawater to keep its servers from overheating. At its Stockholm facilities, Interxion saves about $1 million per year in energy costs by using water from the Baltic Sea to cool its servers. The company pumps the seawater through several of its data centers, reusing the cool water several times to effectively bring temperatures down from over heated servers and IT equipment. After being used to cool the servers down, the water is then reused to heat homes and offices. Based in the Netherlands, Interxion has data centers in eleven countries, which together can yield a lot of excess heat. Rather than building expensive mechanical chillers, the company has turned to low cost and eco-friendly alternatives. Sea and lake water is a renewable option that brings temperatures down without having to produce extra energy. The fact that the water from the Baltic is cool enough to be cycled through several data centers was an added bonus, effectively saving even more money. When the Baltic seawater enters Interxion’s facility, it is around 42.8 degrees, and rises to 53.6 degrees after absorbing the processors’ excess heat. Still, at 53.6 degrees, it can be pumped into a second site, where it rises to 64.4 degrees, before making a third trip to data center number three, where it leaves at a final 75.2 degrees. But the journey doesn’t end there, the excess heat stored in the seawater is then sent to a heat pump and used to heat homes and offices. Like all data centers, Stockholm’s Interxion data center gets very hot - and the company is using seawater to keep its servers from overheating. 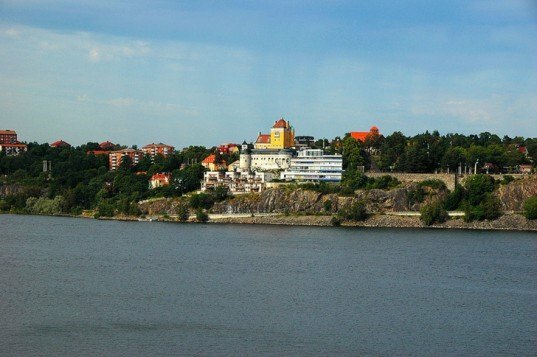 At its Stockholm facilities, Interxion saves about $1 million per year in energy costs by using water from the Baltic Sea to cool its servers. The company pumps the seawater through several of its data centers, reusing the cool water several times to effectively bring temperatures down from over heated servers and IT equipment. After being used to cool the servers down, the water is then reused to heat homes and offices.